250 Custom Circle Stickers, prices starting at $96.50. 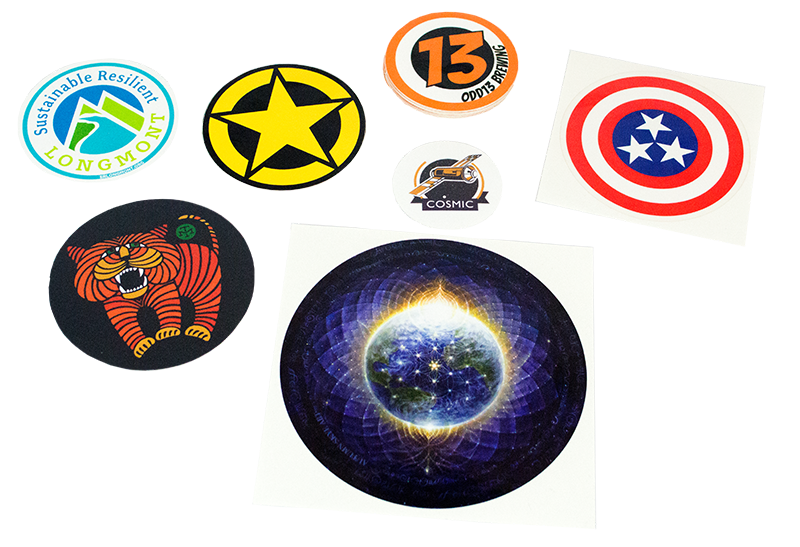 Custom circle and round shapes are a fun and easy way to get your logos and designs into the world as a custom sticker. Whether it’s on the back of a car traveling as a window or a bumper sticker, or used as a branded sticker you hand out at an event, the classic circle is a go-to shape for a reason! Circle and round shapes are available in any of your favorite custom sticker products! Digitally printed circle stickers are printed with a 4-color process. All of our custom stickers are outdoor durable to look great both indoors and outdoors! Custom circle stickers make it easy to wrap any text around your designs, working with the curves for a unique look that shares your brand in style. This shape is also easy to share, and even easier for fans to stick to just about anything. This classic shape is available in all of our custom sticker and label products. Try them out in Die Cut, Kiss Cut, or Clear Stickers, or any of your favorite type of custom label.